Genuine Leather Earrings - Studded Leather earrings are an original MADE BY MAGGIE design. 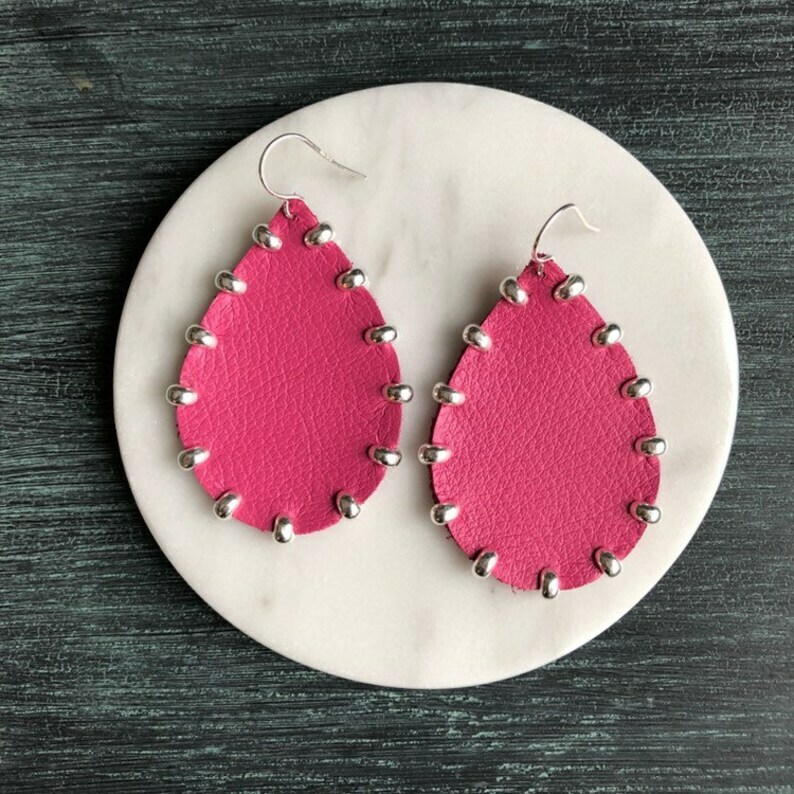 These PINK leather teardrops are trimmed with either shiny silver or gold studs. 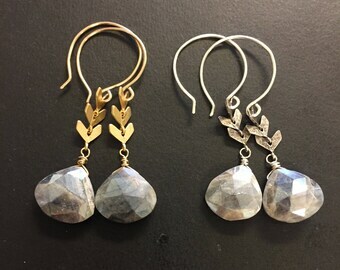 They measure approximately 2.25 inch and dangle from sterling silver or 14k gold filled handcrafted earwires. You chose your metal finish in the drop down menu. Maggie was awesome! Love my earrings. Customer service beyond exceptional. Great experience. Will definitely shop here again.